On 27 April, after being in a coma for more than a week, passed away our author in the Modern Chess magazine – GM Viktor Gavrikov. This is a big loss not only for the Modern Chess community, but also for the entire chess world. Before publishing Viktor’s last article, I would like to throw some light on his personality. Viktor Gavrikov was born on 29th July 1957 in Criuleni, Moldova. He was 12 years old when he learned the rules of chess. A leading role in his chess education had the famous Moldavian trainer and theoretician Vyacheslav Chebanenko (among his pupils, we can find the names of strong grandmasters like Bologan, Komliakov, Rogozenco and many others. It is mainly thanks to his work with Chebanenko that he became GM in 1984. 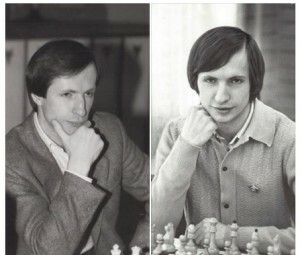 The biggest success in his chess career is the share of 1 – 3 place at the URSS championship in 1985. At the subsequent interzonal tournament in Tunis, he shared 4 – 5 place. Another memorable tournament success is the second place (immediately after Karpov) at the World rapid championship held in 1988 in Mexico. 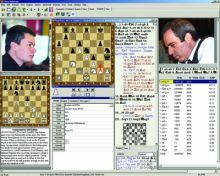 Since 2004, he practically stopped playing serious chess tournaments and dedicated himself to his work as a chess trainer. Of course, being superficial, the above-mentioned information is far from describing Viktor Gavrikov as a chess player and as a person. That’s the reason why I have decided to share with our audience my point of view which is based on our personal relations. I hope that my observations will disclose some facts concerning the period in which he was no longer an active chess player. Sometimes we meet people who change the course of our life. As a rule, they come at the moment we need them most. Undoubtedly, one of the most important acquaintances in my life was the one with Viktor Gavrikov. I first met Viktor in the summer of 2004. At that period, I was 17 years old and my FIDE rating was 2321. Being far away even from the IM title, I was obliged to decide whether putting additional efforts in becoming GM is worth considering. Since in the time when our communication began Viktor was living in Germany, I started taking online lessons from him. In a short period of time, he managed to completely change my chess understanding. I was fascinated by his tremendous chess erudition and phenomenal memory. Viktor possessed a substantial amount of knowledge in every single aspect of the game. During our training sessions, I started discovering the so-called Soviet Chess School. In the summer of 2006, after 2 years of working with him, I became IM. Later on, despite the fact that I concentrated mainly on my education, thanks to the help of Viktor, I continued to progress in chess and became GM in 2010. It was exactly in 2010 when Viktor and his wife Riina decided to move to Bulgaria. During the period in which he was living in my town (he stayed in Petrich from 2010 to 2012), I had the pleasure to enjoy the face-to-face communication with my trainer. In this way, I was able to better understand Viktor as a person. Just like in the field of chess, in his personal life, he was best characterized by his aim for perfection. He was looking for the perfection in everything he did. This attitude was developed to such an extent that in a number of situations, he failed to come up with a practical decision. I am inclined to believe that this feature of his character didn’t allow him to reach even more spectacular results in chess. Another important characteristic feature of Viktor is his critical thinking. He never trusted an information which was not personally checked by him. He was firmly believing in the rightfulness of his personal judgments. Nevertheless, he was always ready to accept different arguments when they were well justified. 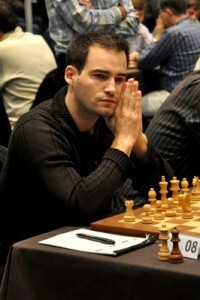 I am convinced that the critical thinking is the cornerstone of his progress in the field of chess. So far, I have never seen a person with better analytical abilities than Viktor. When I first entered the room in which he worked, I had the feeling that I am in a scientific laboratory. In 2012, together with his wife, he moved to Burgas – a nice Bulgarian city which is situated by the sea. He lived there until the very last day of his life. In the period 2012 – 2016, we were communicating on regular basis. He was always ready to help me in my preparation for a concrete game or before a tournament. 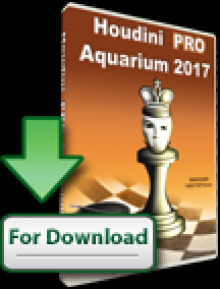 Quite naturally, in 2015, when together with GM Petar Aranudov, I launched Modern Chess Magazine, Viktor was the first person who started to collaborate with us. 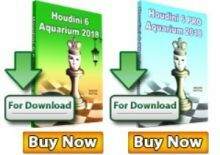 I am sure that his articles on the typical middlegame positions will continue helping our readers to better understand chess. Viktor Gavrikov passed away. He would have turned 59 in a few months. He was a strong grandmaster, but his talent and understanding should have made him achieve more. Should I owe my GM title to one person only, it would be him. He was my trainer from 1994 until he left Switzerland in 1997. Thanks to him, I got a glimpse of what the Soviet school of chess really was. His knowledge was immense, and his phenomenal memory was backed with the old card index system. With him, it felt like computers existed already. I have kept all copies of the lessons he gave me. Though the ink on the fax paper has long started to vanish, the content of the lectures is permanently stored in my mind. Such is his memory.